In Apple’s encryption standoff with the U.S. government, the company portrays itself as standing up for the rights of privacy. It’s taking the high road, the company says, and is on the side of those who want to be free from an invasive government. But despite Apple’s posturing, this is not for the company a fight about the rights of individuals against the power of governments. Instead, it’s all about market share and the bottom line — an example of the company doing the right thing for the wrong reason. Apple’s worry is this: If the company makes it easier for the U.S. government to get around encryption on the iPhone, then the Chinese government will ask for the same thing. That would make the iPhone lose its luster in China, and hurt sales. As for Apple really caring about the personal rights of the Chinese people, it has shown for years that it has no concern for them. It’s been a willing partner with Chinese government censors, helping make sure that people can’t bypass the “Great Firewall” with their iPhones, and blacking out news or information the Chinese government doesn’t want its citizens to read. In 2010, Apple pulled apps from its store in China that mention the Dalai Lama or the Uighur activist Rebiya Kadeer. It was a particularly ironic move, given that the company had used the Dalai Lama, an icon of freethinking, in order to sell Apple products in its “Think Different” ad campaign. When Macworld asked Apple why it banned the apps, Apple spokeswoman Trudy Muller responded in an email, “We continue to comply with local laws. Not all apps are available in every country." No high-minded ideals about freedom there. 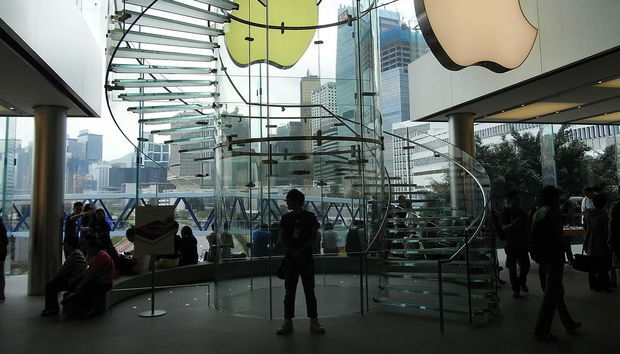 Apple has continued to do the Chinese censors’ bidding. In 2013, Apple banned the OpenDoor app in China, which lets iOS users bypass the Great Firewall. That same year, Apple pulled the Free Weibo app from the App Store in China. The app allows people to read censored comments on China's popular microblogging platform, Sina Weibo. In October 2015, Apple disabled its news app in China. The app can be downloaded only in the U.S., though it works in other countries — except in China, where it can’t retrieve news. All this shows that Apple is fighting the U.S. Justice Department because it’s good business to do so, not because it stands for the rights of individuals against the power of governments. So yes, commend Apple for taking this stand against government intrusion. But don’t think for a minute the company is on your side for principled reasons. Its principle is to fatten its bottom line. This time around, that makes it fall on the side of privacy. But there’s no way of knowing where it might lead in the future.